This one's another recommendation from a friend. 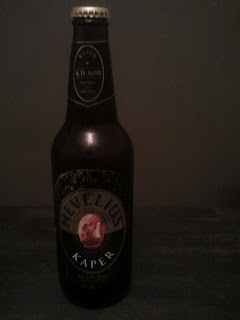 After posting about my beloved Zywiec Porter a little bit ago, I was encouraged to give Hevelius Kaper a try. I definitely enjoy this beer, but am slightly on the fence about its ability to challenge my beloved Zywiec. It's brewed by the same company, but is a very different kind of beer from its cousin. Where Zywiec Porter focuses on a dark, bitter flavor that removes the illusion that well-crafted beers a recent trend, Hevelius Kaper is evidence that the lighter beers of the world can still pack a high alcohol content and great flavor without compromising on smoothness. 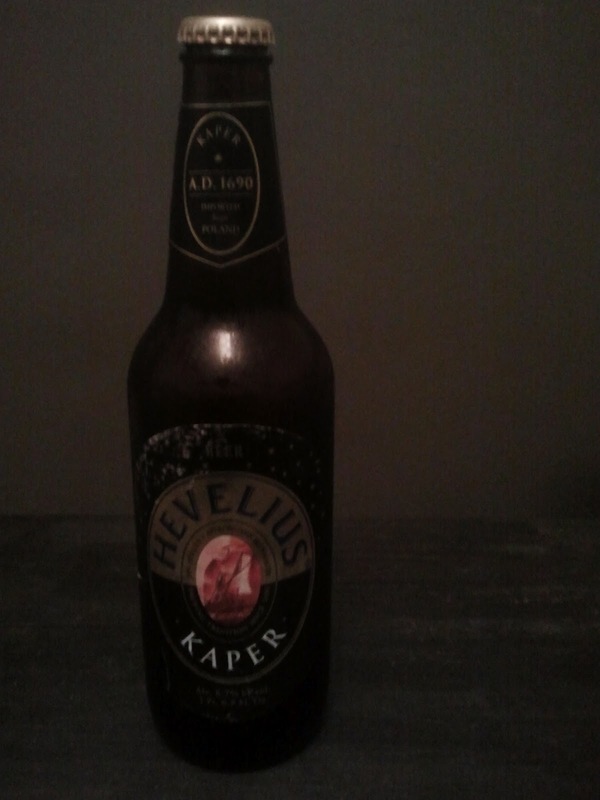 Hevelius Kaper pours a rich amber color with a thin yet noticeable head. There's a very faint aroma of honey, it seems, but it's nothing I can taste when I drink it. This tastes like a more sophisticated, complicated version of the beers I drank when I first reached legal drinking age. As a pilsner, it makes sense. Most popular cheap American beers are variations on the traditional pilsner, which may be why I am always reluctant to consume a pilsner. Despite the negative connotations the term has in my mind, I'm finding this to be very drinkable and delicious. With a higher alcohol content, there's a bit more of a refreshing bite at the end of a sip and there's very little of the the effervescent quality that most beers of this nature carry. So instead of belching my way through a bubbly beer, I'm enjoying a nice spike of alcohol at the end of every smooth and delicious sip. While this beer is not quite ready to make its way into my personal hall of fame, it's definitely got me eager to try more light, smooth beers. I guess this demonstrates that, like everybody else, I could seriously benefit from challenging my own perceptions more often. 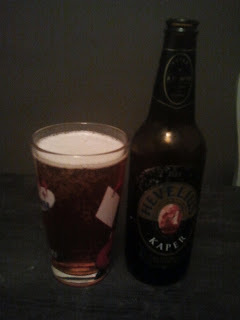 I'm really glad I gave this beer a chance, and I hope you'll all try it at least once as well. I can't find an official website aside from the Zywiec site, but there's little information about this beer outside of beer rating website. Should somebody responsible for the creation of this beer happen upon my blog, please link me to your website so I can direct my readers to you.